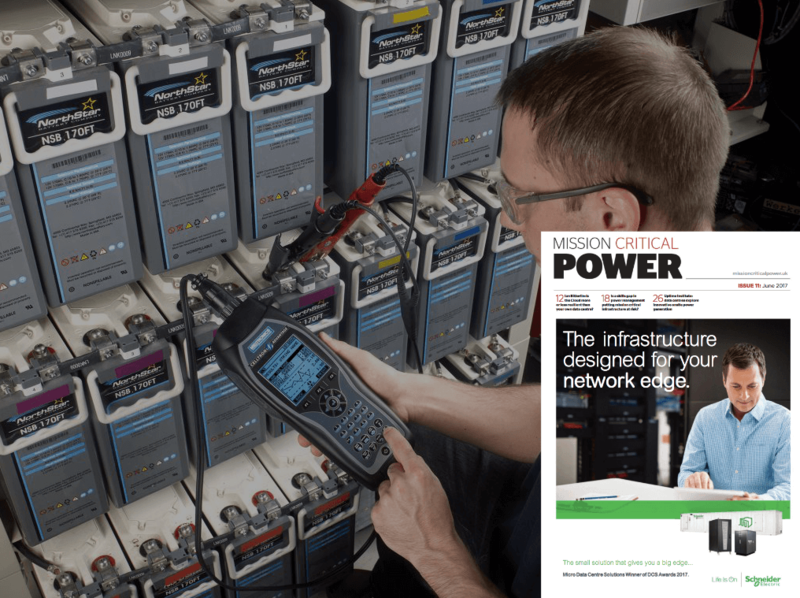 As long term supporters of the Mission Critical Power magazine, we are excited to share our piece on ‘Preventing Power Failure’ in their June 2017 issue. The team behind the magazine, Energyst Media Ltd, do a fantastic job combining industry news and events with new product information in their monthly magazine. View our piece from the latest issue below, or to read the full article, click here. A single bad battery within a UPS battery string poses a risk of downtime for critical operations, which is why regular maintenance of batteries is critical to ensure backup power. Midtronics has developed the Celltron Advantage (CAD) battery tester, an easy-to-use, reliable tool for service providers and operations and maintenance teams. The solution includes hand-held battery testers, comprehensive battery monitoring systems and various software applications. Celltron Advantage is designed to test valve regulated lead acid (VRLA), vented lead acid (VLA), and Nickel-Cadmium (NiCd) batteries, and is capable of providing battery voltage down to one volt, as well as measuring inter-cell and terminal connection resistance. After reviewing a variety of solutions, Linnet purchased a number of Midtronics CAD-5000 units (base kit) and found the ease of use, time saved on site and detailed reports via the software were a significant benefit. Instead of following recommended battery replacement schedules, trending batteries via testing with Celltron Advantage allows replacement when it is most cost-effective. This prevents replacing batteries before their life cycle has ended or after it is too late and they are no longer effective. “Having discussed our needs with BCL Power (another UPS service company in the UK), their advice and help ensured we had the necessary kit to meet all our needs,” Laughlin reports. Built to rugged standards, the battery testers are portable, weigh less than three pounds and are easily transportable. The system provides conductance-based diagnostics (proven effective for identifying and trending battery health), and offers a less invasive testing approach that reduces battery discharge, voltage measurement skew, and allows for more tests on a single internal battery without a recharge. The user can also take the battery temperature with one device, eliminating the need to carry multiple tools, while the system offers the capability to trend battery amp hours using conductance technology.